Last week Iran announced an arrangement, brokered by Brazil, where the Islamic Republic would ship out uranium to have it enriched in Turkey. The deal, similar to one offered by the United States last year, was denounced by Washington as a means to delay United Nations Security Council (UNSC) sanctions against Iran. Iran was offering to have a large portion of its uranium enriched abroad to levels that are consistent with nuclear energy and not nuclear weapons. 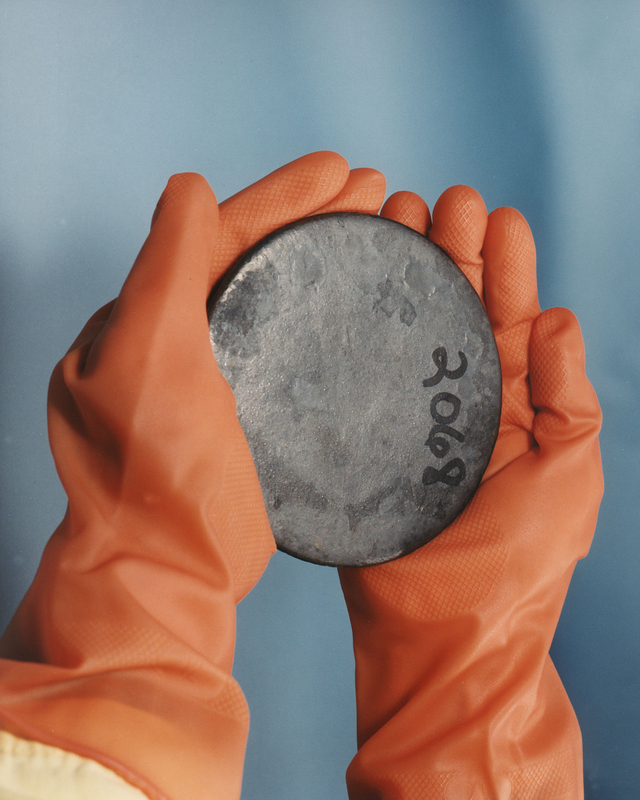 Once the uranium is turned into rods for nuclear reactors, it cannot be further enriched to be used for nuclear weapons. The problem that Washington had with the deal is that Iran would still be holding onto a significant portion of its uranium that could be used some day to make a nuclear warhead, and Tehran has stated that it has no intention of halting its current enrichment program. The battle over Iran’s alleged nuclear weapons program has been slowly escalating over the last year or so, encompassing Obama’s entire presidency. To date, the Obama administration has opted to take a confusing, passive-aggressive, diplomatic course in dealing with the Iran: make offers and talk about diplomacy while arranging sanctions and preparing the Gulf for war. This strategy only seems to be “diplomatic” in the absence of a battle.But, as mentioned, one battle has been raging for months: Secretary of State Hillary Clinton’s political wrangling to arrange sanctions on Iran in the UNSC. If you don’t know how the UNSC works, it has fifteen members, five of which are permanent and have veto power (the P-5: USA, UK, France, Russia, China) and ten members selected on a rotating basis for a period of two years. Usually, the United States can impose its will on the majority of the non-permanent members of the council, but the P-5 members sometimes must be aggressively courted to produce a “yes” vote. In the current situation with Iran, the UK and France were not hard to win over, but Russia and China have been. Generally speaking, Russia loves to exploit any situation where the United States needs Russian assistance, but at the end of the day it is unlikely that they would veto something that is obviously so important to Washington. In return for their support (if tepid), however, America had to scrap a missile defense system that it was planning on installing in Russia’s sphere of influence in Poland and the Czech Republic. This is why it has been so hard for America to convince China to go the sanctions route: one, China needs the cheap oil; two, China thinks its domestic policies are no business of foreigners; and three, if Iran did acquire a nuclear weapon, they would not be using it against China anyway. So why should they care enough to upset such a crucial trading partner? This is the question that Hillary Clinton has been trying to answer since she took office. 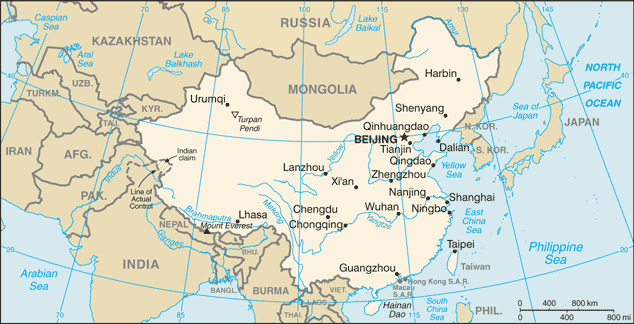 China can’t be threatened with force; it has a very large army and scores of nuclear missiles. China can’t be bullied economically; it is the United States’ largest trading partner and holds over a trillion dollars in US currency and debt. So figuring out the right mixture of carrots and sticks has been understandably difficult for the Obama administration. But it appears something has worked, because just after Iran announced its plans with Turkey and Brazil (both of which are emerging powers that are starting to assert themselves in the diplomatic arena), the United States announced that it had reached an agreement on sanctions with both Russia and China. Why did China change its mind? While Beijing’s first impulse might be to do the opposite of what the West wants it to do, it doesn’t change the fact that China’s relationship to Europe and the U.S. is very important as it represents two massive markets that buy Chinese goods, which in turn fuels the economic growth that fosters domestic stability. And once Russia was aboard, it was that much more difficult for China to stand alone. As for the sanctions themselves, it is difficult to say whether they will have any real impact on Iran’s alleged nuclear weapons program. Historically, the effects of sanctions in guiding rogue nations to the right course have been spotty at best, as sanctions usually only serve to strengthen the position and resolve of the regime while only the citizens of the sanctioned nation suffer. In order to make sanctions work, you need to make the regime suffer. In this case most analysts agree that, while imposing certain banking and trading restrictions on Iran might be at most an inconvenience, they will likely not achieve the desired result. For Iran, the key weakness is in its gasoline imports. Iran may have a lot of oil, but years of sanctions have crippled its ability to refine oil into gasoline (score one for sanctions). As a result, Iran must import a large portion of its gasoline, mostly from Russia. This is where Russia could have played a key role: if Russia agreed to halt gasoline exports to Iran, the Iranian economy would have ground to a halt and would have easily inflamed the anger of a public that is already visibly discontented with the regime in Tehran. But the current UNSC resolution makes no mention of gasoline imports, and it looks like the price of having Russia and China on board was that the resulting resolution would be devoid of teeth. Perhaps the Obama administration thinks that it is more valuable to have their support to give the resolution the appearance of a multilateral consensus than it was to have a resolution that could actually have a direct effect. Iran Gets Nukes: So What? With all this talk about what’s to be done with Iran, it is easy to get lost in the rhetoric. When such a big deal is made about a particular issue, and everyone has strong opinions on all sides, but they don’t really disagree, the question must be asked: why do we care? The list of countries with (known) nuclear weapons is long: US, UK, France, Russia, China (the P-5), India, Pakistan, Israel, and North Korea. Really, aside from being counter non-proliferation, what is one more country? The problem isn’t so much of “what” as it is “who”.The country in question has been hostile to the United States for over 30 years, continuously referring to the America as “the Great Satan” (with Israel being the “Little Satan”). But that’s not really it either, as the United States was not nearly as aggressive towards North Korea’s nuclear weapons program (a rogue regime if there ever was one, one that actually fought a war with the U.S. in the 1950’s). Perhaps it was because Pyongyang’s possession of nuclear weapons came as a surprise and by the time the world knew about it, it was too late: because they had nuclear weapons. No, America’s interest in Iran is different and its concerns are two-fold: the first is Iranian hostility towards Israel; the second is Iran’s direct challenge to American hegemony in the Middle East. Tehran makes no bones about its dislike of Israel. The regime’s leaders constantly denounce Israel to gain support from the masses. For any nation, it helps to have an adversary for which to rally domestic support. North Korea has South Korea, Israel has Iran (they have each other), America had Communism, and now it has Terrorism. The question is whether this hostile rhetoric goes beyond mere speeches. For Iran and Israel, it certainly does. Iran has been funding and training Hamas for years, and in 2006, Israel fought a 34-day war with Hizballah, an Iranian proxy. But what came first, the chicken or the egg? It’s difficult to say. On the surface, it would appear that Israel would have no problem with Iran if Iran had no problem with Israel. 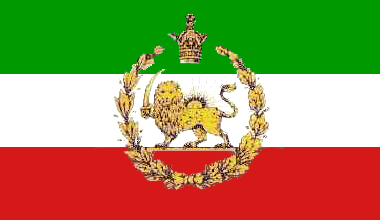 However, the Iranian revolution of 1979 was Islamic in nature, and one of the claims of the new regime in Tehran was that Zionism was evil, as it oppressed Muslims. Whatever you believe, one thing that’s true is that Israel worked closely with the hated former leader of Iran: the Shah. As it turns out, something that Iran’s three greatest enemies (US, UK, Israel) have in common is their ties to Reza Shah Pahlavi, the former King of Iran. Since the Islamic Republic came in to being, it has been hostile towards Israel. And while Israel might have one of the most advanced militaries in the world, it is still a very small country in relation, and is understandably afraid of one of its greatest enemies acquiring weapons of mass destruction, particularly nukes. However, this doesn’t explain why the United States is so concerned. Or does it? It is extremely unlikely that Iran would make a nuclear weapon, attach it to a missile, and launch it at the United States, because America would respond in kind and that would the end of the regime in Tehran. (The same goes for Iran attacking Israel for that matter.) While not usually on the same page with the international community, it is safe to say that Iran is led by rational actors in that they value regime survival beyond anything else. Let’s just say that Iran manages to build a nuclear weapon and launches it Israel the next day. Israel would likely reciprocate and the regime in Tehran would be toast. But even if they weren’t, Khamenei and Ahmedinejad would likely face a level of international isolation that they had never dreamed existed. Not only would they have been responsible for the Holocaust Part II, thousands of fellow Muslims would have been killed in the process. Adding another layer is that those Muslims would be Arabs, which would further widen the chasm between Arabs and Persians. The average (surviving) Persian, thoughtful and literate, would likely be appalled and ashamed of their government’s course of action. And not only would Tehran be destroyed, but likely Qom, the Shiite Vatican, along with it. Without exaggeration, it could very well mean the end of Persian civilization. So while Israel would likely not ever face an Iranian nuclear assault, when you combine Iran’s hostility to Israel, as well as the two nations’ proximity, Israel’s concern is understandable. And when Israel is concerned, America is concerned. This is a factor of the Zionist lobby’s power in Washington, especially as the U.S. heads into midterm election season. Congressmen from both sides of the isle draw support from pro-Israel advocates, and therefore we see Israel’s needs being quickly addressed. (Witness the recent Scuds to Hizballah scenario; a week later President Obama is clamoring for a $200 million missile defense system for Israel.) So if our “close ally” is threatened because it “lives in a tough neighborhood”, then the U.S. will respond, as it has been for the past 43 years. Of course, there is the other reason why Washington is taking such a firm stance with Iran: the continued defiance of Iran threatens American hegemony in the Gulf and symbolizes America’s deterioration as a superpower. After WWII, the United States and Russia emerged as the only two superpowers (closely related to their own nuclear arsenals). 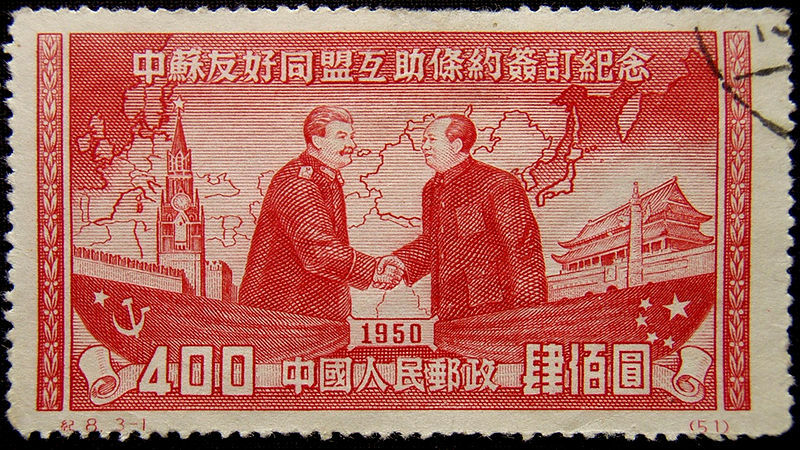 The two engaged in the Cold War for nearly fifty years until the fall of the Soviet Union in 1991. After that, America was the last man standing and for the next 20 years or so, what America said, went. But now, with the ascents of Russia, India, Brazil and especially China (referred to as the BRIC countries); America is losing in terms of relative power. 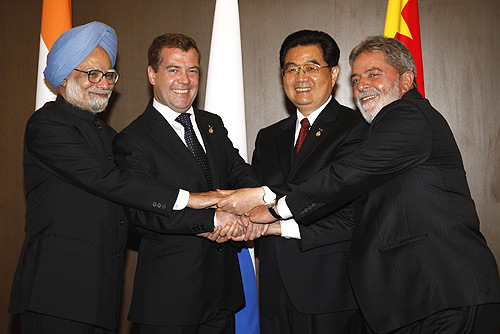 In this zero sum game of power politics, the gains for the BRIC countries represent loses for the United States. This means that these countries will be competing more than ever for natural resources to either ensure their position in the world (in the case of the United States) or to ensure their continued growth. The International Relations landscape is shifting to a multi-polar world where there is no clear superpower. In fifty years, we could see America, China, India, Brazil, and Europe (if there is such a unified body at the time) exerting similar levels of influence in the world (Russia is left off because of its declining population and its inability to reform economically). This transition could be rough or smooth. Intuitively, such an adjustment would create conflict and war, but the end of the Soviet Union came so swiftly and gently that it caught everyone by surprise. The point is that we as a nation should do whatever it takes to ensure a smooth transition. But right now we are going through the birth pangs of our transition to the new multi-polar world order, and Iran is at the center of that transition. The United States has chosen to make Iran’s alleged nuclear weapons program a priority. Washington has burnt a lot of calories and invested a lot of political capital in making sure Iran does not continue to enrich uranium, so much so that the whole situation has become symbolic of declining American power. This is why the U.S. is trying so hard to get it’s way: Iran’s position on the matter is the ultimate defiance of the West and if America can’t get Iran to change its ways after investing so much time and energy into it, it projects to the world that America’s time as captain of the ship is over, and its decline may be happening in a more precipitous manner than was once thought. America’s (and Israel’s) interest in Iran’s nuclear capability is boldly hypocritical. The biggest behind-the-scenes cheerleader for sanctions has been Israel, who has an ambiguous nuclear arsenal of its own and refuses to sign the Non-Proliferation Treaty (NPT), but you would never hear Washington criticize this. Also on the list of those with nuclear weapons is India, where the U.S. actually encourages proliferation. Then we have Pakistan, an incredibly unstable country with an active al-Qaeda presence, which should be ten times more alarming than the prospect of Iran acquiring “the bomb”. Rounding out the list is North Korea, at best an enigmatic nation (at worst, insane) which actually withdrew from the NPT in 2003, and soon after declared that it had nuclear weapons. Popular opinion characterizes Pyongyang as a rational regime, in that it values regime survival, but in reality we have no idea what Kim Jong Il is capable of. Pakistan and North Korea are far more threatening nations that have nuclear weapons; the problem is that they already possess them. But Iran does not, not yet anyway, and many think that it only a matter of time before they do. Then what? Iran should not possess nuclear weapons for many reasons, but there are worse scenarios for the United States. One of which is the prospect of going to war with Iran to forcibly prevent (delay) Tehran from attaining them, as the result could be catastrophic for the world: war, oil shortages, economic collapse, domestic instability, war, repeat. 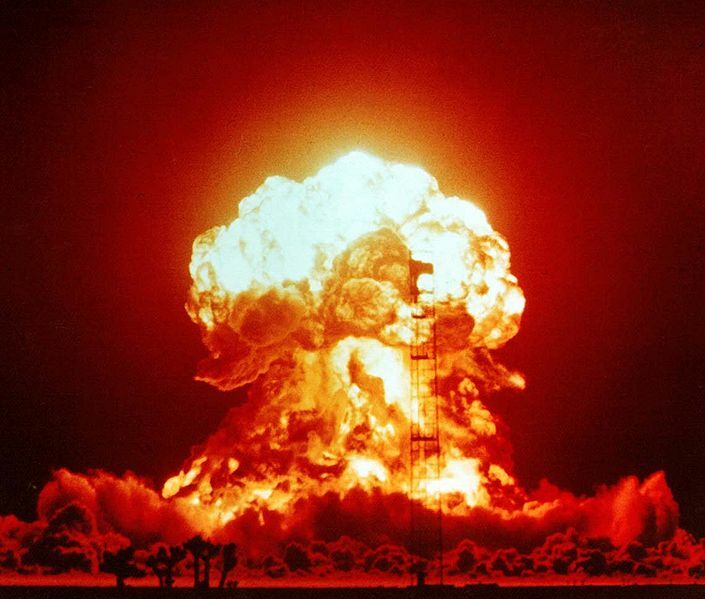 The fear of proliferation resulting from Iran acquiring nuclear weapons is probably overblown. America actually still has sufficient clout to make sure others in the region – Egypt, Saudi Arabia, and Gulf States – do not follow suit. There will be a certain level of anxiety added to the region with a Persian nation having such a defensive leg up, but that will likely only push those countries closer to the United States for protection, with the bonus of significant additional arms sales. Also, if Iran becomes nuclear capable, the regime in Tehran might be more secure not having to face the prospect of an Israeli or American attack, which could make Tehran less reliant on the destabilizing use of proxies such as Hizballah and Hamas. One way or another, the United States needs to reconcile with Iran. It would be better if it happened before Iran acquired nuclear weapons, but it should surely happen afterward (though reconciling immediately after could set a bad example). A friendly relationship with Iran could be highly beneficial to the United States. Just think how useful they could be right now in Iraq and Afghanistan, not to mention America’s war with al-Qaeda. Also, if America had Iran, Iraq, and Saudi Arabia as allies, it could really make our nation’s transition to post-oil that much smoother. Like it or not, the U.S. faces heavy competition for resources from the emerging giants of Brazil, India, and China, and having the aforementioned Middle Eastern countries locked down as allies would secure America’s access to petroleum in the days after peak oil. Another beneficial move would be to increase America’s ties with Turkey. Turkey is a large Muslim nation situated in a key geographic region between East and West. Turkey, a long time member of NATO, has always had a foot in both camps, but lately it seems to be shifting to the East as a way to assert itself. Turkey has proven itself over the years to be an honest broker of sorts when it comes to diplomacy, as it has facilitated negotiations between Syria and Israel, as well as brokering the current deal (with the help of Brazil) to enrich uranium for Iran. Turkey would be a strategic ally in ensuring Europe’s access to natural gas. This natural gas would come from Iran, which in turn would provide Europe with an alternative to Russian natural gas. This would weaken Russia’s hand strategically, which is always nice. Today, Washington’s key ally in the Middle East is Israel, but that relationship is becoming more trouble than it is worth. This is not to say that Israel is not a friend of the U.S. or that we should not support the Jewish State as we would any ally, it’s just that the benefits that America gets for its special relationship with Israel need to be closely evaluated against other possibilities as we enter a critical juncture in American history. A closer relationship with Turkey and reconciliation with Iran would have many long term strategic benefits for the United States, and this needs to be weighed honestly against what Israel brings to the table. Also, closer ties with Turkey and Iran do not necessarily have to come at the expense of Israel. Obviously Israel loses by not having its American big brother take its side in every conflict, but prudent U.S. foreign policy should be guided by national interests and not by guilt or sentimentality. The decisions that the United States will make over the next ten years will have a direct effect on the next hundred years in terms of America’s place in the world. The too-brief period when America was the lone world superpower is coming to an end and Washington needs to carefully evaluate how it proceeds from here. Who are our true friends? Who do we want to be our new friends? What do we have to gain by being hostile to certain states and not hostile enough to others? It is easy to beat the drum of America being too dependent on oil, but it is. However, this is not the problem. The problem is that the rest of the world is too, and state competition for resources causes conflict. Sometime over the next fifty years or so we will likely start running out of oil, and America’s access to cheap, readily available energy is absolutely critical to United States national security. From here on out, it behooves us to proceed with great caution.